Do you have a 2-year-old at your house? 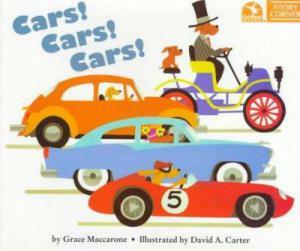 We’ve had four of them, so I know which books resonate best with toddlers. 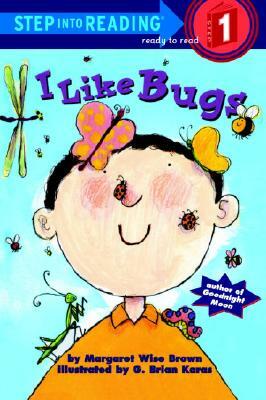 Check out our top ten books for 2-year-olds! If you’ve seen my book lists, you know I have a hard time keeping a list of books to a manageable number. We make library trips almost every week, and we’re constantly finding new books to love. That’s why I put together just the top ten books for 2-year-olds. These are books you won’t mind reading again and again! This is such a fabulous, clever book! My Two couldn’t get enough of it. 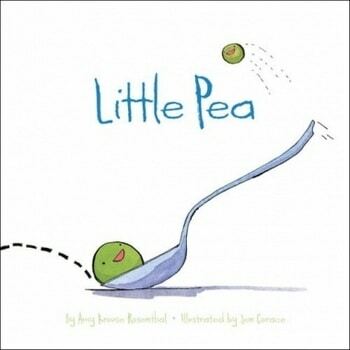 Little Pea has a very happy life with Mama and Papa Pea… except at mealtimes. Because you know what you have to eat when you’re a pea, right? Candy, candy, candy. And Little Pea just can’t stand it. But when Little Pea finally cleans his plate he gets his favorite for dessert… spinach! We also love Little Hoot (about an owl who doesn’t like staying up late) and Little Oink (about a little pig who doesn’t like getting messy). 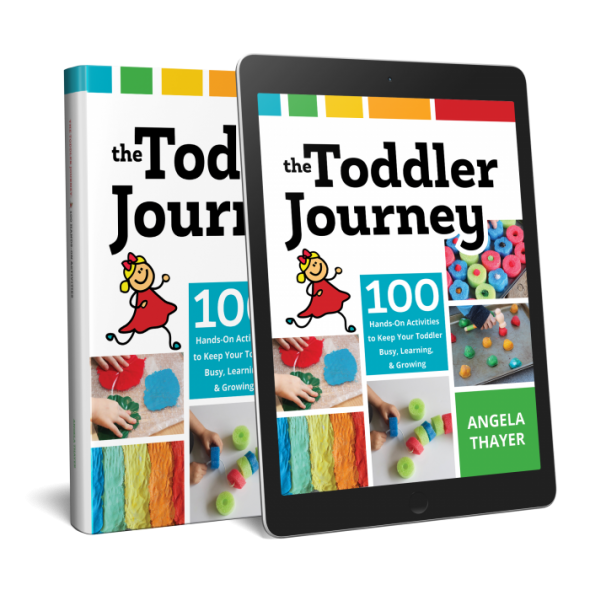 This book is perfect to read when your toddler wakes up cranky! 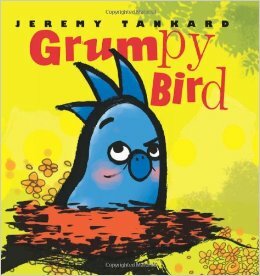 It’s about a little bird who’s so grumpy nothing seems right. Thankfully his animal friends help him come out of his bad mood with some exercise and companionship. Funny! 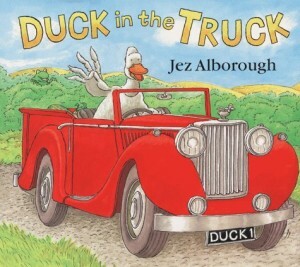 This is a great rhyming book with charming pictures. It’s a quick read and a book your little one will love so much he’ll soon be reciting it with you. It also works well for teaching opposites. We found this book in the new books section of the library, and I fell in love with it. 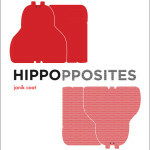 The author is a graphic designer and in this, her first book, she teaches opposites with an endearing hippo graphic. Even though this is a board book, all my older kids (2,4,5) enjoyed it. It has both simple opposite pairs (large/small) and complex ones (opaque/ translucent). If you’d like to see sample pages, click here. At age two, my middle son requested this book every time we went to the library. It’s a fun rhyming book about a duck whose truck is stuck in the muck… and the animals who help him get out. We own this simple rhyming books, and it’s been a favorite at our house for quite a few years. Quick to read, with fun illustrations. Perfect for little listeners. 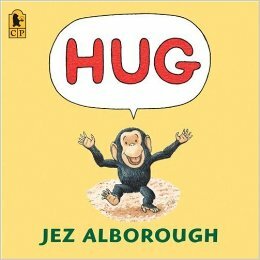 This is a darling story about a little chimpanzee named Bobo who repeats the same word over and over: “Hug.” At first, he happily observes all the baby animals being hugged by their mothers. But as the book goes on he realizes that he has no one to hug him, and his cries of “Hug!” become frantic. A pair of elephants lead him to his mother, and they have a joyful reunion. 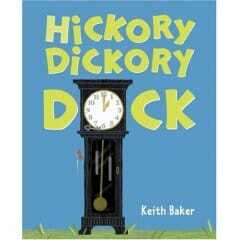 This is a great book for your little one to read himself, as it has only three different words. 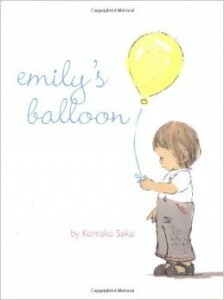 It’s rare that I will recommend a book based on a TV character – in fact, I’ve never done it – but how could I leave this classic book off our favorites for 2-year-olds? 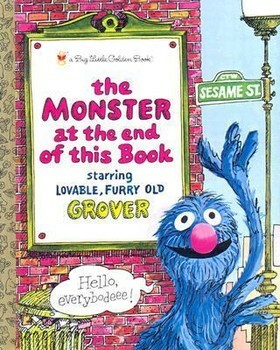 Kids love being told, IN GIANT SCREAMING LETTERS, to please not turn the page – poor Grover is afraid of the monster at the end of this book. Like me, this may have been a favorite of your own when you were young … be sure to let this timeless book delight the next generation! 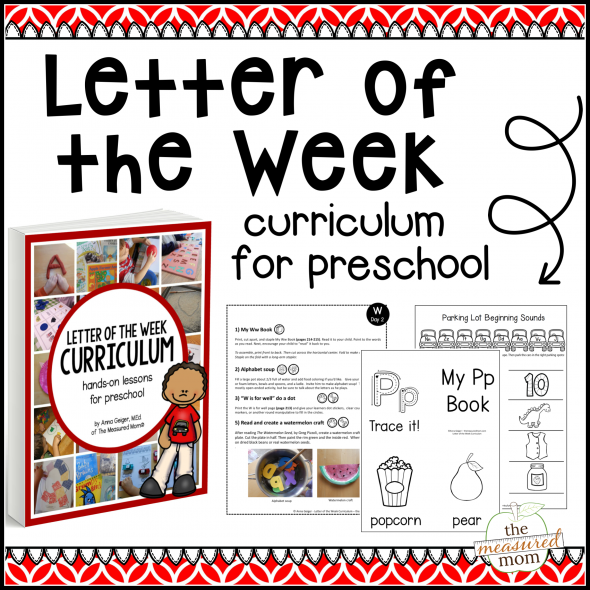 This ebook is packed with activities for 2-year-olds! We love it! I like your booklist 2 year olds. 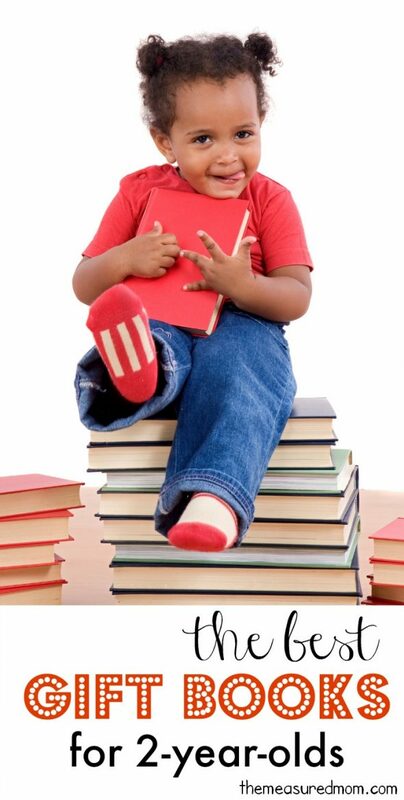 I was wondering if you have a reading phonics program that you like along with a math program. I have Sing, Spell, Read, and Write from 24 years ago so some things are missing for games and workbooks used. It is on cassette so I am not sure if they all work. I have been reading about Spell to Read and Write, All About Reading and Teach Your Child to Tead in 100 Easy lessons. It is all so overwhelming. I also am interested in Rifht Start Math. I will be working with my Granddaughter that will be 3 in May. Her parents are blind. I am considering the Charlotte Mason approach for other subjects. Thanks for any input. Hi Joyce! I would look into All About Reading. I do not recommend 100 Easy Lessons… everything I’ve heard about it is that it is boring. I’d be cautious about Charlotte Mason, too. I don’t like the focus on copywork. Hello, ,I love the list, the books look so lovely and entertaining. I teach my son English as a second language and books like these help a lot. Thanks you!